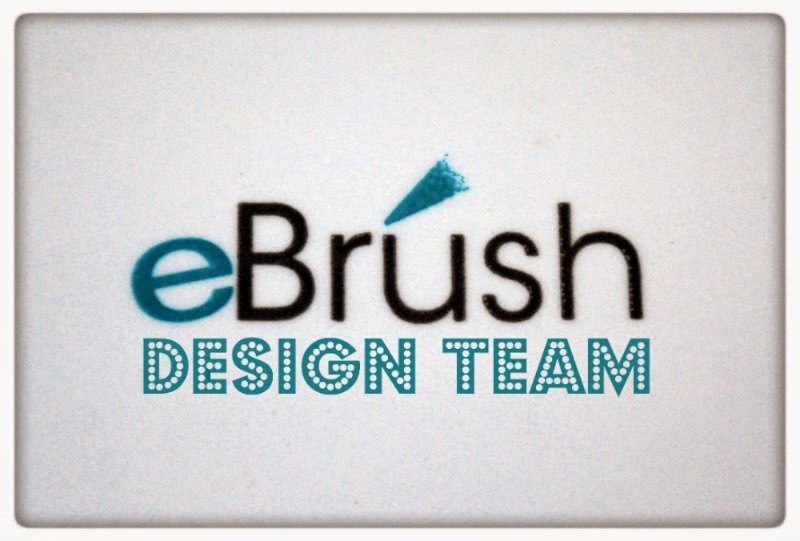 eBrush, Pink and Main, and a whole lot of BLING!! 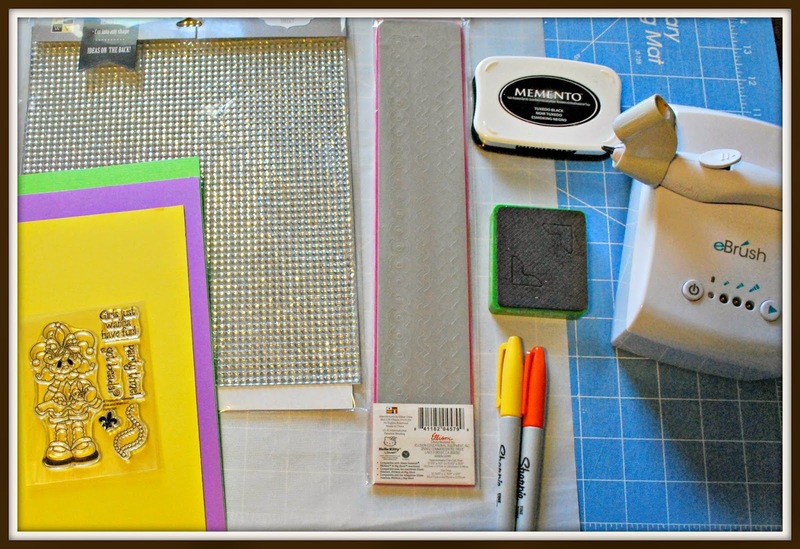 Hello Crafty Friends... For today's project I mixed 3 of my favorite crafting things... stamping, ebrushing, and a whole lot of bling!!! Our wonderful sponsor, Pink and Main, have the most darling stamps... EVER!! And when I saw this little cute I just knew I had to bring on the bling!! And, I also knew I could make my own awesome "blinged" embellishments to do it too!! I first stamped my image on watercolor paper using my Momento ink pad in Tuxedo Black. Then colored my image in with my Spectrum Noir markers. I added eyelashes to my little girl with my Faber-castell PITT pen and added highlight to my colored image with my gelly roll pen and my white opaque pen. Then I die cute 4 photo corners out of my bling (adhesive jeweled sheet) and ebrushed them with my Spectrum Noir Markers in LV2 and PL4 & DG2 and DG3. Then mounted them onto black cardstock. I also hand cut a fluer de lis shape out of more bling. I wanted it to be two-toned so I ebrushed in yellow and orange and also backed it with black cardstock. 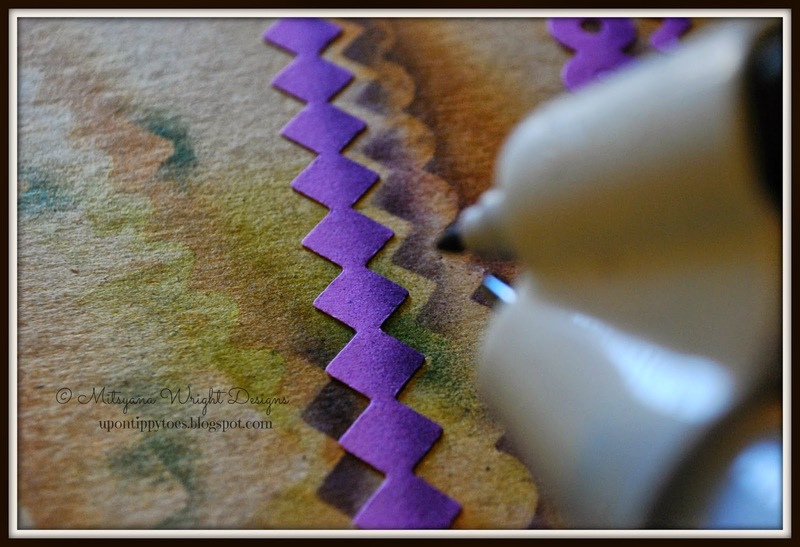 Then I cut die cut strip from my Ribbons Sizzlit die out of purple, yellow, and green carstock. I ebrushed half the strips in the coordinating Spectrum Noir markers. 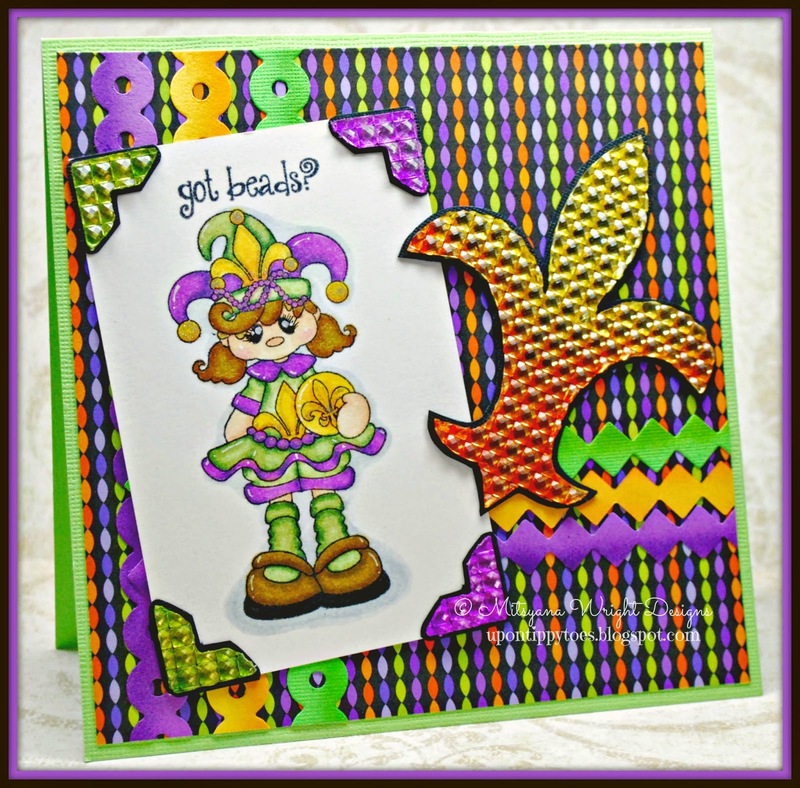 Then I assembled all my pieces to create my Mardi Gras themed card!! 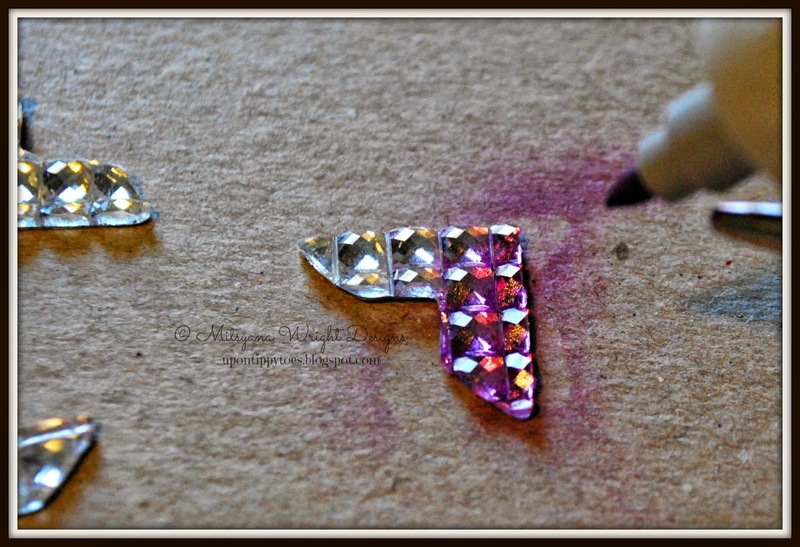 I loved being able to make my own "blinged" embellishments so much I did another card with more ebrushed bling! Check out this other cutie from Pink and Main... this one is from the Pretty Princess set. 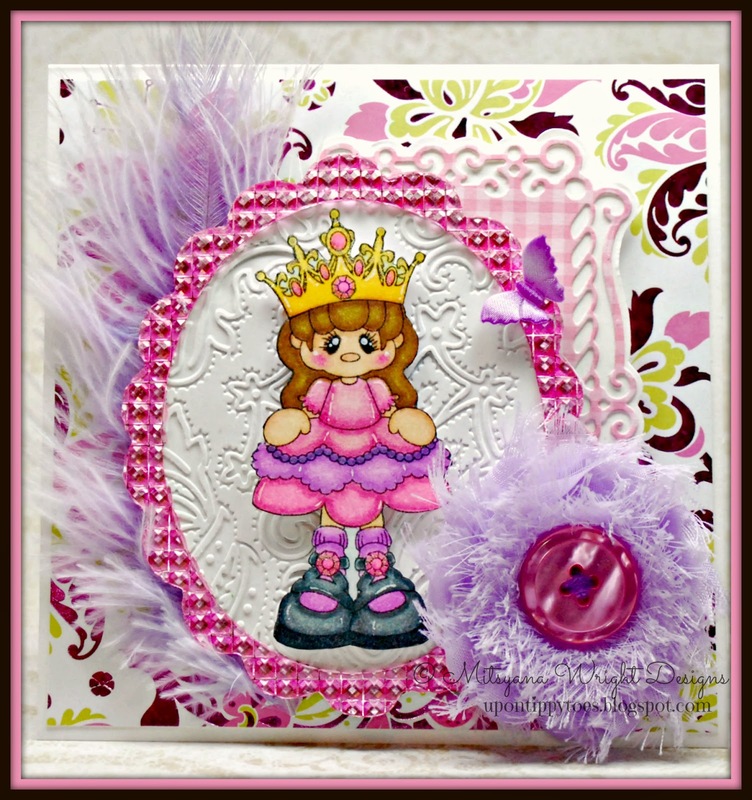 I paired this little princess with a cute little buttoned shabbie, and a pretty pink blinged frame and purple feather ( which both were also ebrushed)! I love it! I hope you did too! To see more of my crafty projects visit my personal blog!! 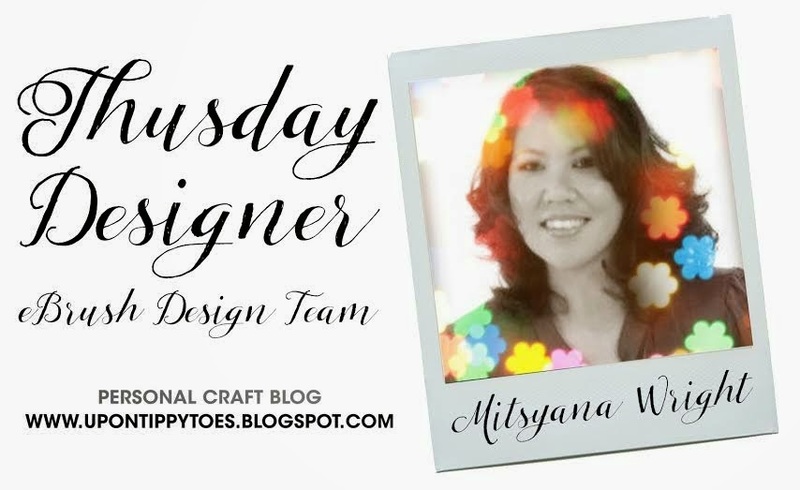 These are fantastic cards Mitsyana!